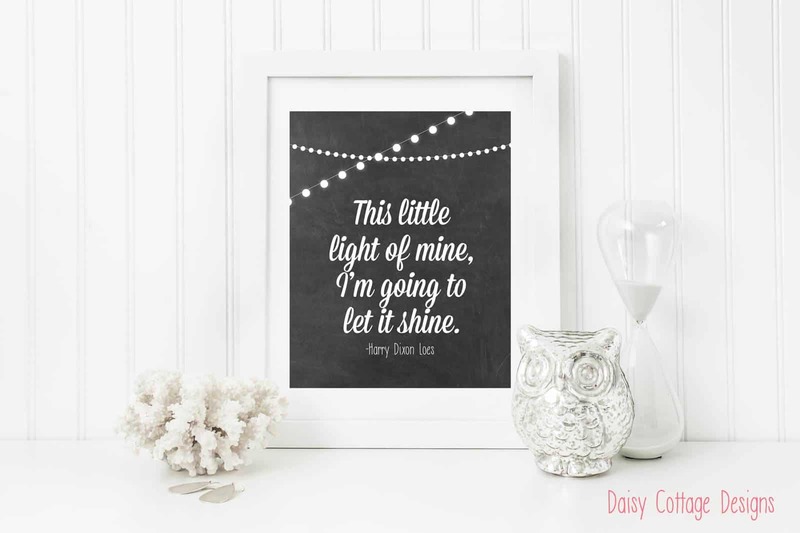 My little girls love singing Sunday school songs like “This Little Light of Mine.” We’re designing a new room for them, so I’m trying to create adorable printables that will look fantastic in their bedroom. 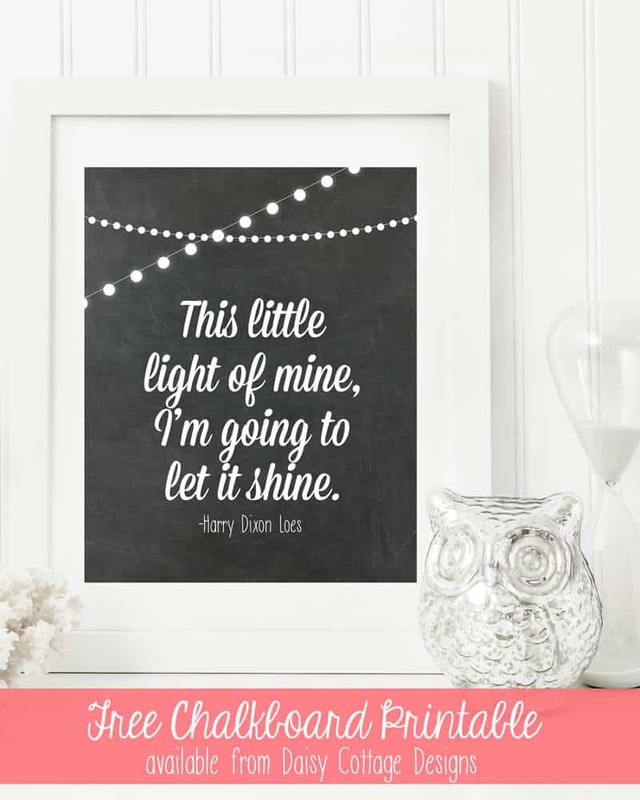 What little girl wouldn’t love having this twinkle light printable in her room? 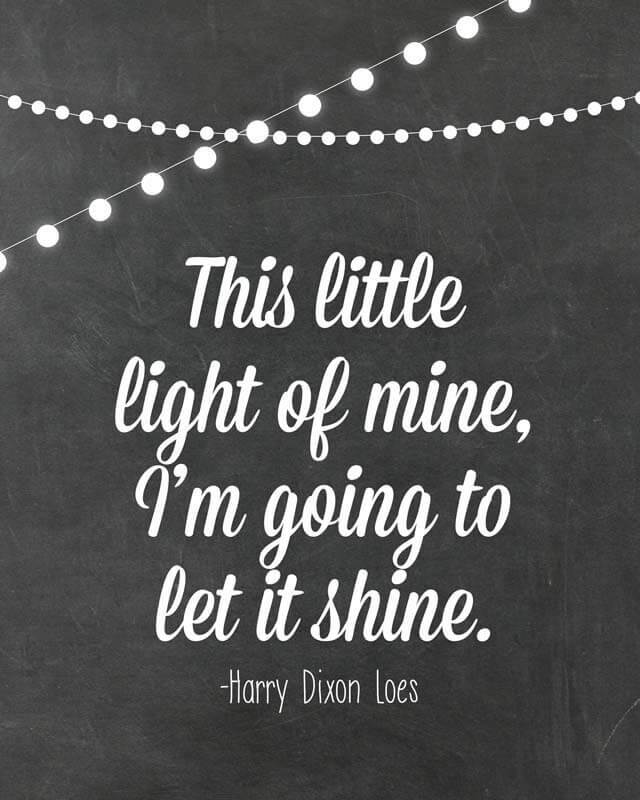 “This Little Light of Mine” comes from Matthew 5:16 (Let your light so shine before men…) and was written in 1920. Ever since, Sunday school children all across the United States and other parts of the world have been singing it with adorable hand motions. This free 8×10 printable just needs to be printed, cut out, and framed. Easy-peasy. If you’d like to display it in your home, you can print it out here.